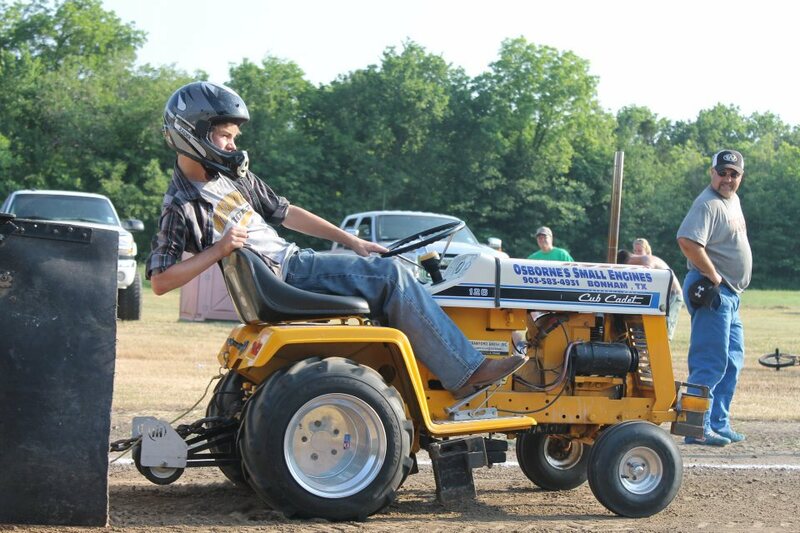 The LSGTPA tractors will soon be returning to the fair !! The Hunt County Fair is set to open with a double-shot of tractor pulling action, as the LSGTPA pullers will be on hand on June 8th and 9th, for the only two day show on the schedule. The pullers will open the Hunt County Fair, which runs June 8-16, with a double header on Friday and Saturday nights, of opening weekend. 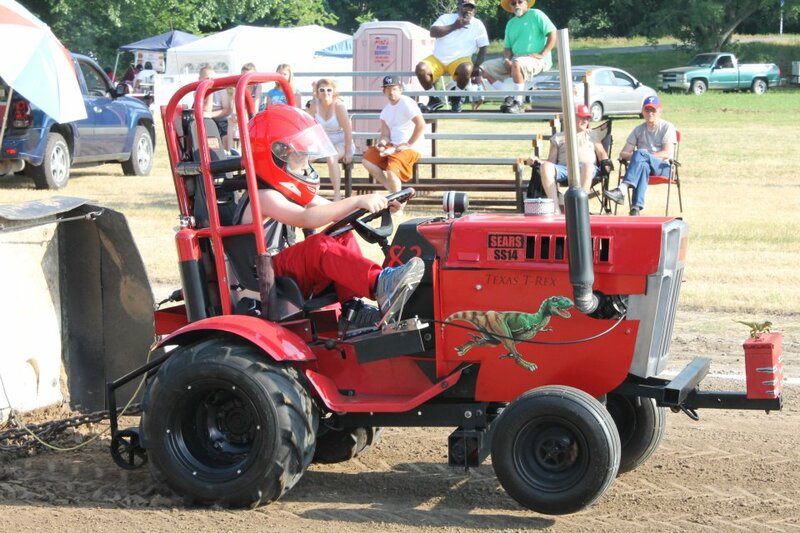 The 2011 Hunt County Fair Pull was one of the most exciting events, with some classes decided by a rare pull-off, to determine the winners ! The Hunt County Fair will take place at the fair grounds in Greenville, Texas. Greenville was founded in 1846, and named for Thomas J. Green, who was very instrumental in the founding of Texas as a Republic, and as the Lone Star State ! Greenville was home to the largest cotton compress, until the mid 1900's and has long been an agricultural base, making the Hunt County Fair in Greenville the perfect place to see a battle of tractors, and the perfect place for the Lone Star Garden Tractor Pullers Association to perform ! The Hunt County Fair arena will be transformed into a great pulling track, where fans should expect to see 20 - 30 pulling teams competing for titles in each class, thanks to great sponsors like Crawford-Smith, Inc of Greenville ! 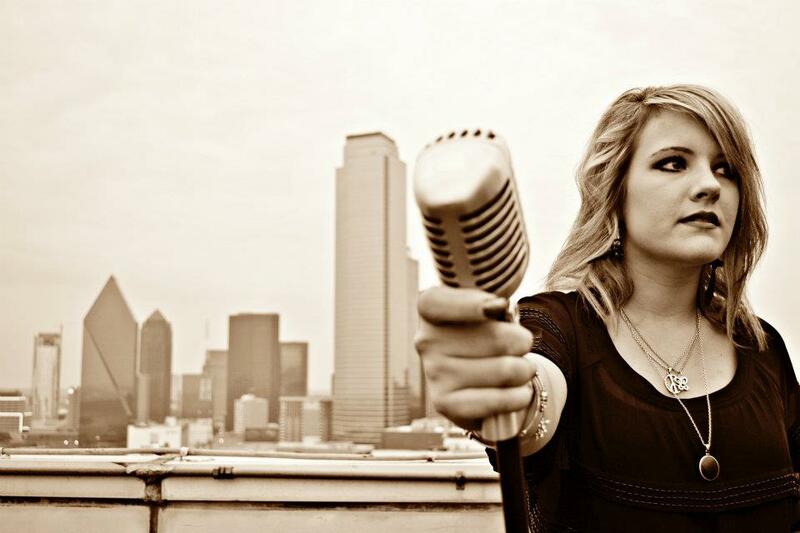 The LSGTPA is also very excited to have the opening ceremonies to include our National Anthem presentation by Amber Carrington ! Amber Carrington is an extremely talented performer and the LSGTPA is honored to have her as part of the show ! The Hunt County Fair looks to be starting off with a great show, so make plans now to see the Friday night show on June 8th, which will start at 6pm. See the link on this page, or www.huntcountyfair.net for more information on the schedule of events. See ya'll at the fair ! 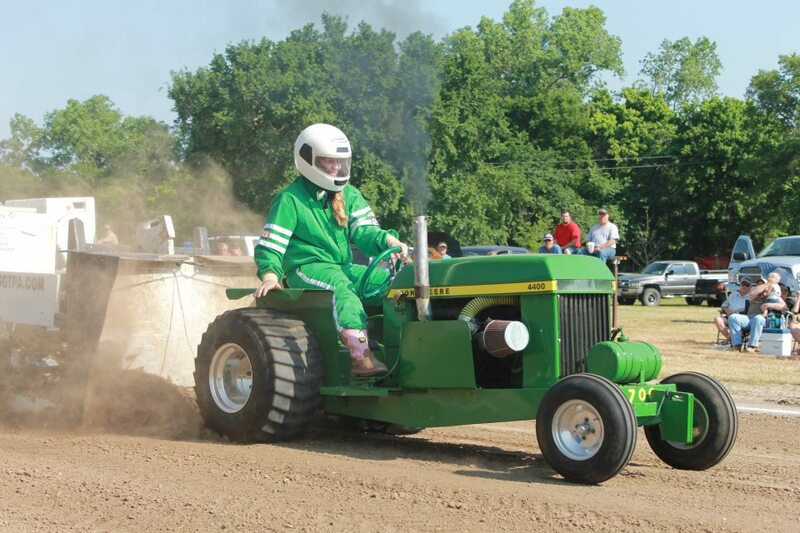 The dust has settled and the results are in from the Bonham Heritage Days tractor pull, presented by the Lone Star Garden Tractor Pullers Association. The event was held at the 200' track near Powder Creek Park, and featured approximately thirty teams competing for the title in nine classes. The Youth Class started the show and saw rookie puller Jared Stephan taking the win, with Lane Duncan pulling to a runner-up finish aboard the 'Texas T-Rex'. Tyler VanBeber and team scored a third and fourth place finish, followed by Katyn Yarborough and Aidan Hovind aboard the 'Yes Deere' tractor. Bonham's own Kody Langham placed his Cub Cadet in the seventh spot, with Cassidy Bramlett and Ashton Atkins rounding out the top of the field. Kolby Langham, of Bonham, took the Stock Class title. Jaron Howdeshell and Curtis Felps finished second and third. Claude Lewis and Chris Harper placed in the top five with Steve McCarley and Sam Baird placing sixth and seventh. In Big Stock, it was John Aufdenkamp scoring the victory with Patrick Bramlett placing second. Kolby Langham placed his tractor in third place over another Team Aufdenkamp entry, with Len Hickerson posting a top five finish. The Stock Altered Class saw John Aufdenkamp taking the victory with Ken Langham, Jr. taking the runner-up spot. The Motorcycle Class title was secured by John Kiemele Sr., over runner-up Todd Hickerson. Steve Pierce finished third with Claude Lewis Jr. placing fourth. The Super Stock Class featured the high winding Cub Cadet of Ken Langham, turning in a full pull to take the class title. In the Outlaw Class, it was John Aufdenkamp's triple engine tractor taking the win over Todd Hickerson. The highly entertaining Mini Rod Class, saw a dominant performance by Jerry Toland, using two full pulls to win the title. James Moody finished a close second, following the leader by only three feet ! Sarah Moody, on board her '99% Moody' John Deere, used her turbocharged diesel tractor to record a full pull and a third place finish. Colby Crowe used two good pulls to finish fourth in the very close field of Mini Rods. 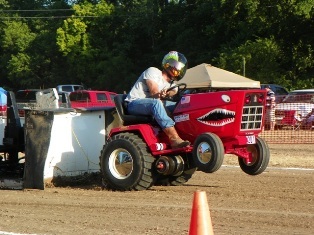 The Super Rod Class tractors closed the show, with James Moody taking the title. Jerry Toland scored the runner-up finish with Randall Moody placing third. Donny Mayo placed his tractor in the fourth position with Tyler McCarley posting a top five finish. 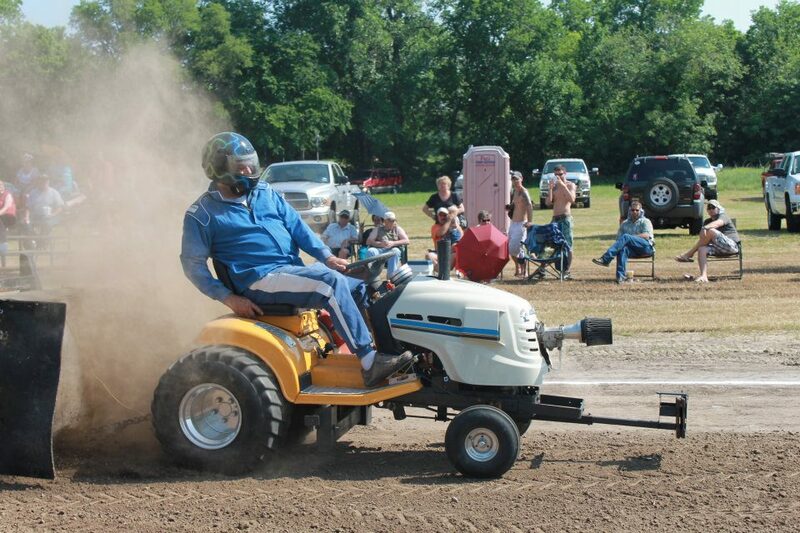 The LSGTPA tractor pulling teams will be in Bonham, Texas on Saturday May 5th, at the Bonham Heritage Days event. The pulling action is scheduled to begin at 3 pm, at the Powder Creek Park area on Old Ector Rd. See the http://www.lsgtpa.com/ webpage for details and directions to the track.